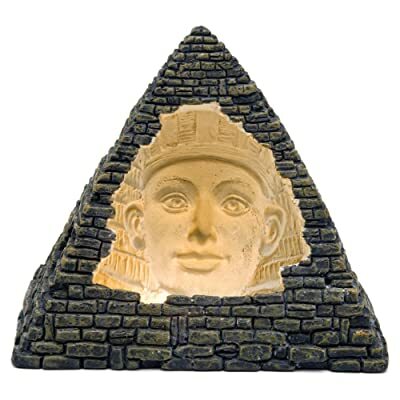 The most famous old world culture that everyone in this entire planet probably recognizes has got to be Ancient Egypt. 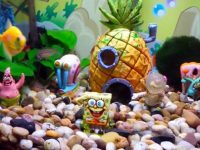 In terms of fish tank decor, it has created some of the best Egyptian aquarium ornaments and backgrounds that will definitely create an awesome aquarium theme for you. 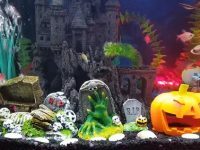 Although aquarium backgrounds aren’t really necessary for an Egyptian aquarium theme, having a suitable Egyptian background will greatly enhance the look of your design. The key here is to select one that compliments the theme and does not make it look odd. 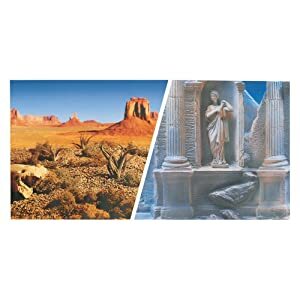 The background you choose in this case largely depends on whether you are planning to create an outdoor scene with pyramids and other structures or an indoor scene with the sarcophagus and statues. 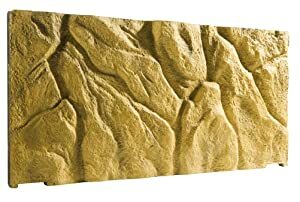 If your design is an outdoor scene, you would best go for a desert scenery background like the one you see below. But if you want to have an indoor scene, I would go for a background of rocks. The background you see previous is a 3D rock background. They are a little more costly than the simple poster background but they would make the design really stand out. 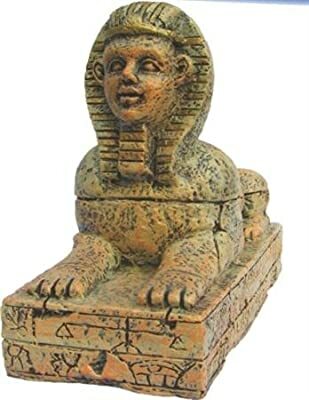 Lost Egyptian culture with the gorgeous sculptures is very mysterious and attractive. The pharaoh and their towering structures are present in so many facets of our lives, from the movies we watch to holy books and even in the monsters that we enjoy dressing up as during Halloween. 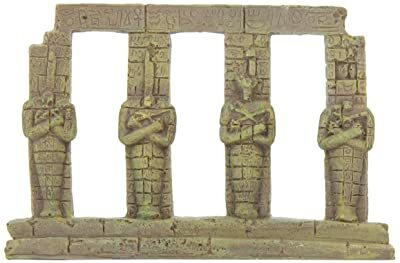 Let’s look at the different Ancient Egyptian decorations that you would need to pull off this cool design. If you are going for the outdoor scene, then you would need buildings and structures. 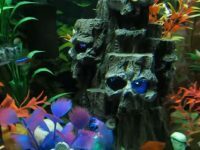 The Ancient Egypt aquarium theme has several really cool recognizable ones. 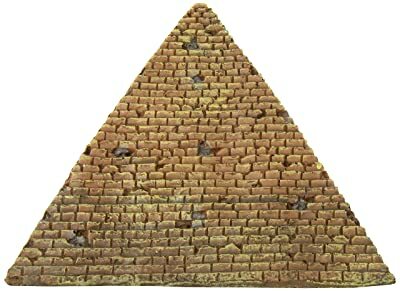 The first of course would be the pyramid. 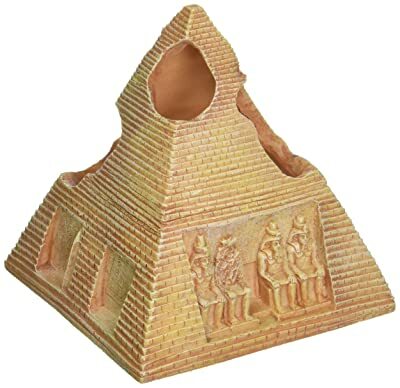 This is definitely a must for any Egyptian theme. 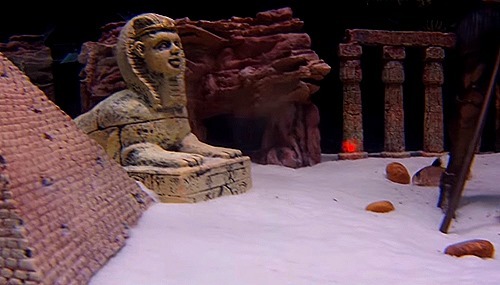 After that, if you have space you could add on other notable structures such as the Sphinx and some Egyptian columns. 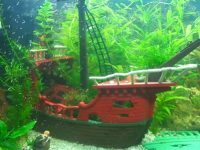 These ornaments below would give you an idea of the various types of fish tank decor buildings that you could get your hands on. There aren’t many indoor ornaments that you can select from. 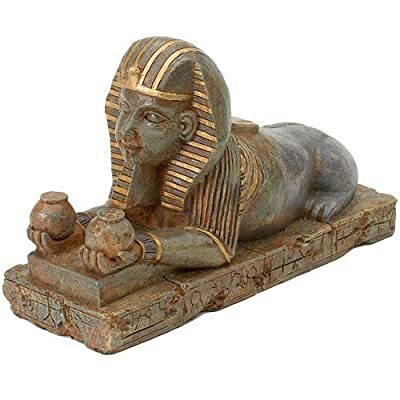 The most famous indoor Egyptian tank ornament would be the sarcophagus. 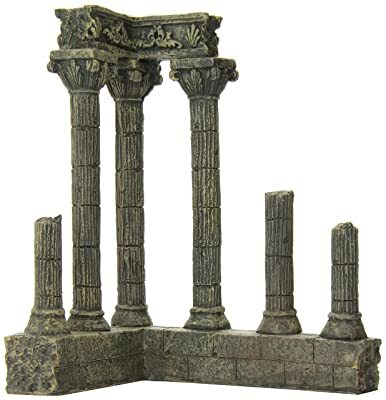 If you’d like to incorporate this into your design, you can always couple it with the Egyptian columns. They would go so well together. Once you have select the components that you plan to use, it’s time to put them all together. You first need a suitable type of gravel. 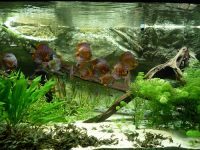 Depending on the type of fish that you have in your tank, it would be best to go for as fine gravel or sand as you can. Also the gravel, sand needs to be a light earthy tone to mimic the desert sand. If one of your fish tank decor is a bubbler, it would be best to place it in the middle of your tank. 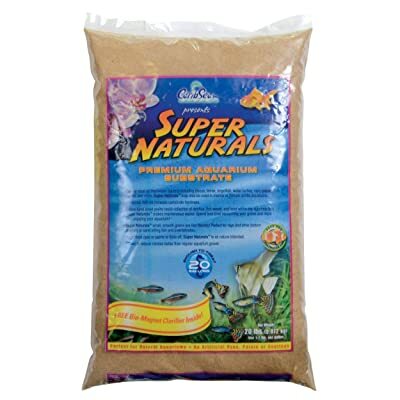 This will not only aerate the tank uniformly but will also make it look better. You may have as many different items in your design but always remember the golden rule. The most important thing to your fish is swim space. Do not sacrifice swim space with too many tank ornaments. 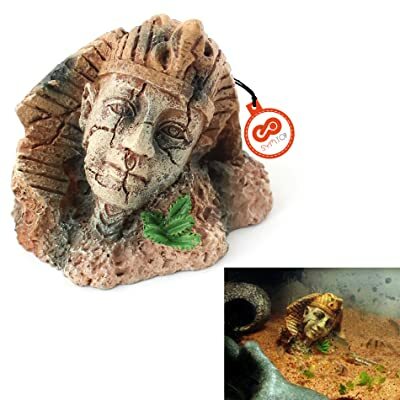 This should give you a good idea on how to design your very own Ancient Egyptian Theme using easy to obtain fish tank decor.